Are Late 90's Kids Millennials or Gen Zs? A very serious and astute investigative report. Every day when I wake up, one question pesters me relentlessly. It gnaws at me through every waking thought, action, selfie, and career decision. It's one that is just as hotly debated in the news as it is within my subconscious, dividing civilians along strong and steadfast camp lines. As someone who was born in 1998, I have spent every second of the past 20 years dying to know: am I a Millennial or a Gen Z? Recently though, I looked in the mirror and thought, "Huh… This isn't just about me. What about all other '97, '98, and '99 babies? The 90's kids who are told we were too young to be 90's kids but too old to appreciate Disney Channel shows after "Hannah Montana" went off the air? I have to do this for them. I have to do this for us." I decided to embark on a quest of self-discovery in order to answer the question once and for all. While this looks like a fantastic win for Gen Z voters, it is worth noting that those people gave four (4) different years for the start year of Gen Z that were not 1997. To all you smug Gen Z voters, settle down and buckle up because this proves nothing other than my point that no one can agree on what generation late 90's kids belong in. With that, I turned to expert research which conflicted more than even a pool made up entirely of Millennials and Gen Zs did. I stumbled upon this graphic which highlights Millennial and Gen Z characteristics based on their work ethic. Initially, I thought it was so set and perfect and a done deal that late 90's kids were Gen Z. But then I found three (3) articles that conflicted with a bunch of these claims. One big point of contention between the two generations is finance and how the two generations regard it. Some say that Gen Zs are more pragmatic and are working for pay raises and staying stringent with their spending, while Millennials are more dreamers who don't care so much about their financial stability as much as they do about being happy and fulfilled. In the same confident tone, other sources say because Millennials grew up with knowledge of the 2008 recession, they are far more careful with their money than Gen Zs who are growing up as Generation Wealth (i.e. idolizing people like the members of the Kardashian family and spending their money in similar lavish fashion). There's also the conversation around technology, a topic which early Millennials have been getting flack for as long as they can remember. The general consensus is: Millennials were the generation to pioneer the modern social media and technological landscape while Gen Zs are "natives" of the social media/Apple culture. To put myself into the debate personally (completely allowed in any good investigative report), my brother and I were born in '99 and '98, respectively, and each had a slide phone as our first ever device. My younger sister, born '01, disrespectively, has had exclusively iPhones since she was 11. It can be argued that Gen Zs were the generation born fully immersed in the modern technological age, allowing them to adapt to changes with greater ease, while Millennials might think more like me and recall the days when they dreamed of getting a Razor flip phone. Social media should be regarded be regarded separately from the devices they are accessed on. I'd like to bring the focus to one response from my totally tech innate Instagram questionnaire: "Millennials imo- noticed that after '99 hardly anyone uses FB!" Millennials are, whether they like it or not, participants of the Facebook Culture. I made a Facebook profile when I went to high school and ever since then, I use it more than I'll care to admit. It is common for people my age (you know, the exact demographic in question) to share their pictures in albums, talk about videos they've seen, and make Facebook events for everything. Gen Zs are too tech savvy for that. They're the people who swear by Snapchat and the market for all of these new Instagram updates. Most Gen Zs don't remember the time when Instagram wasn't aesthetically pleasing! They are the demographic streaming services were designed for because they don't know On Demand exists (also probably mostly because they're so tech savvy so they watch TV on devices rather than on the actual TV). My point is, if you are a 21, 20, or 19-year old, odds are you're still posting on Facebook while your 14, 15, or 16-year old sibling is running a 10.3k follower Instagram account. Conflicted by my findings, I decided to interview my first witness. I asked my boss if he thought of me as a Millennial or a Gen Z. At first, he had no idea what I was talking about but after some light explanations, he put forth the argument that anyone currently in college (i.e. those who have completed at least one year of college) (i.e. those born 1999 and before) were Millennials. It was a solid argument, one that needed serious deliberation. After doing my research and conducting my interviews, I was more conflicted than I had ever been. I had to come to a conclusion... but what would that be? This decision was not easy. Throughout my entire investigative career, I have never had a case or question so troubling and divisive as this one. Just as I thought there was no hope for a definitive answer, I interviewed my last witness: my (very clearly) Gen Z little sister. "Oh yeah. I've always considered you a Millennial. You have tendencies of Gen Z, but I think anyone born before 2000 is definitely still a Millennial." I was blindsided. The ease with which she asserted something so significant? A clear Gen Z quality, attributable to coming of age in a society with a tense political and social climate, beginning with President Obama's second term and not ending until the 2016 Presidential Election. To prove this point, I followed up with the witness. "Do you remember Obama's first inauguration at all?" "Do you remember his second?" This was an interesting contrast. Millennials likely remember Obama when he was bright-eyed, bushy-tailed, and not fully grey. 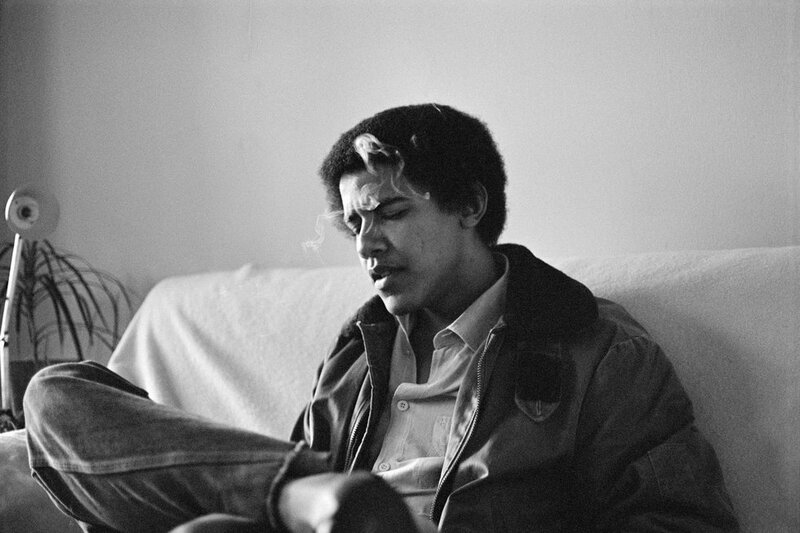 That's why more Millennials tend to post the picture of Obama smoking in college, rather than Obama dropping the mic at his last White House Correspondents Dinner (see evidence below). Let's be real: Millennials have all shared this photo at least once. 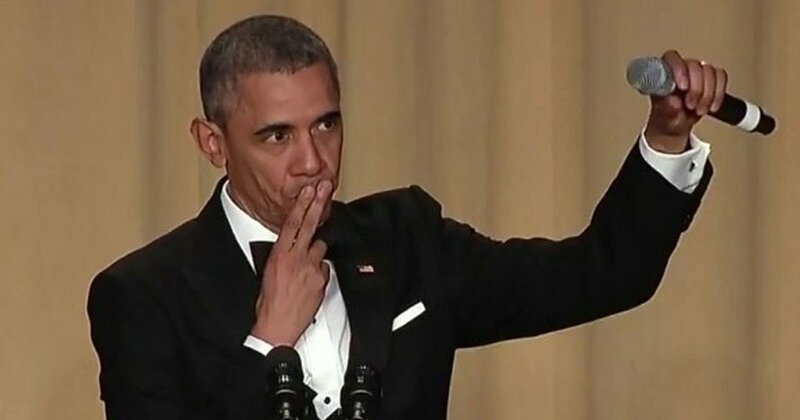 The Obama that left office as Gen Zs were coming of age. My conclusion slowly dawned on me, like dawn on the horizon: late 90's kids (born '97, '98, and '99) were to henceforth be deemed Millennials, as the line between Generation Y and Generation Z would be drawn sharply at the year 2000. HOWEVER, these late 90's kids would simultaneously henceforth not be eligible to fall under the umbrella label of "90's Kids." 3.) they grew up on an entirely different Disney Channel line up than Millennials did, which truly does shape a person. But, late 90's kids were never truly immersed in 90's culture so the cultural revival is not a blast to the past for us so much as it is literally just a revival. Despite being born in the 90's and being a part of the Millennial generation, we cannot claim ourselves to be 90's Kids™️. Obviously, many Millennials with younger siblings may be more hip to Gen Z qualities and characteristics, while the same is true of the opposite. The Late 90's Kids still rest within a blended gray area and have grown up with characteristics of both generations. Those 3 people who voted "kumbaya everyone has a bit of both let's all be friends" were right. But when the dust settles, we rest more heavily culturally and cognitively with the rest of the Millennial generation. Late 90's Kids, I'm talking directly to you now. The truth of the matter is: if you want to identify as a Millennial or a Gen Z for whatever reason, then do it. Literally, who cares? We're all cusp enough to be apathetic and self-centered. If it helps you sleep easier at night by poo-pooing this and saying "I'm a Gen Z through and through" then that's fine, but I'd prefer not to associate with kids who grew up watching Dog With a Blog and thought eating Tide Pods was a good idea. If you'll excuse me, I'll be over here watching Hannah Montana reruns and feeling fully secure in the fact that I did the Cinnamon Challenge.